Join the HBS Club of South Florida for a Guided Tour led by Art Critics and Historians of Art Basel Miami Beach on December 3, 2016. Our group will meet at 1:30PM for the 2:00PM tour. Tours start immediately. Latecomers cannot be accommodated. ​Registration deadline is November 18th. The ArtNexus guided tours are carried out daily by art critics. This is a unique opportunity to explore the Art Basel Exhibition. 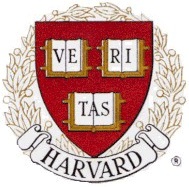 *Member is a current, dues-paying member of the HBS Club of South Florida or the Harvard Club of Miami. All attendees must have a ticket for this event. Tickets will be mailed via USPS. Includes admission to main show and guided tour by Art Nexus. This is not a "combo" ticket and will not provide admission to the adjacent Design Miami Exhibit. This is a great time to join the club or renew your membership and take advantage of the discounted member ticket price. If you haven't already done so, you can quickly and easily join by visiting www.hcmiami.clubs.harvard.edu/memsub. All attendants must prepay for this event. No payments will be accepted at the door. All ticket purchases are final and will not be refunded. For questions, please contact the HBS Club of South Florida's club administrator at admin@hbssouthflorida.org. Click HERE to register and for additional information.